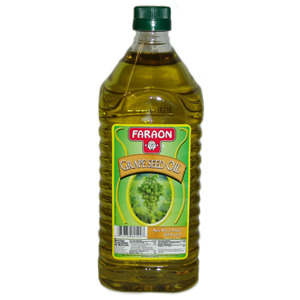 Faraon Grapeseed Oil is of the highest quality. All natural, no cholesterol, no trans-fatty acids, 100% pure, no additives or preservatives, rich in monounsaturated fats . Higher flash point than olive oil, which means it will cook at higher temperatures . Great Quality, Great nutrition, Great Taste, Great Valu.. Enjoy.